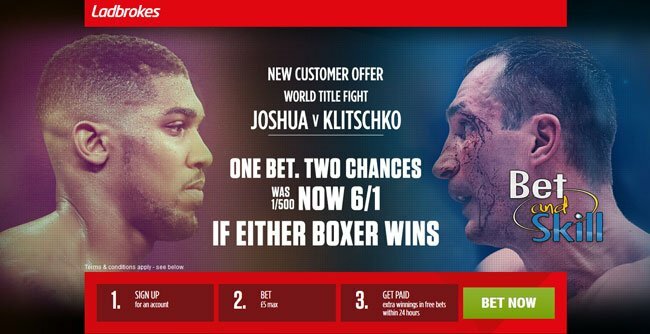 AJ is a hot favourite to win the bout against Klitschko on Saturday night and you can make a BIG profit by taking all the bookmakers' enhanced odds on Joshua to win! 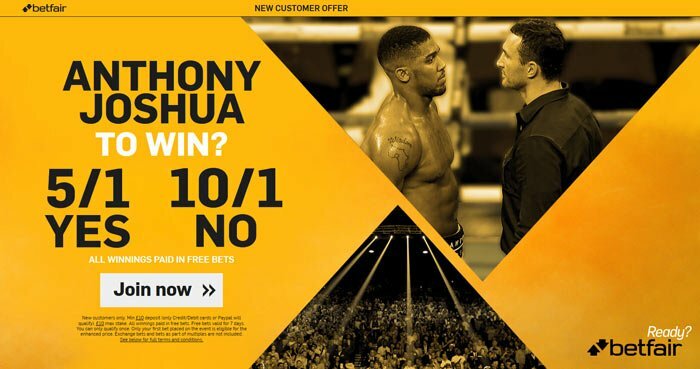 Find below the best offers on Anthony Joshua to win the fight at Wembley. You can make a £315 net profit investing only £56, with a £20 refund if Anthony Joshua loses the fight! 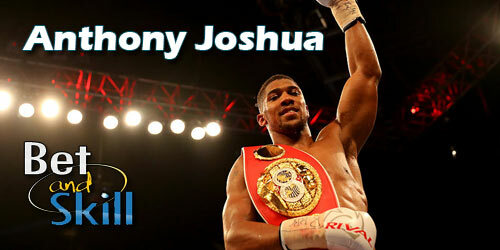 Basically, you are getting a huge value bet on Joshua to win! 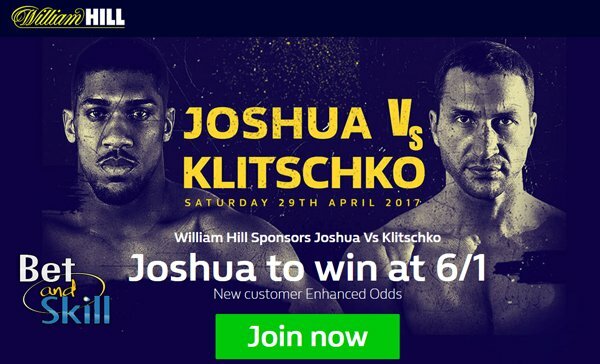 "How to make a BIG profit betting on Anthony Joshua to beat Klitschko"